Trustees of special needs trusts often need to pick professionals to assist with trust management and oversight. With so many licensed professionals to choose from, how does a careful trustee find the “right” professionals? Consider a few basic guidelines. How do you know if you need professionals? Trustees who are inexperienced in financial matters such as investment strategy, diversification, and valuation of assets need professionals to help them. Trustees must invest trust assets prudently, and they can use financial professionals to fill in knowledge they lack. Many trustees employ accountants to do yearly taxes and keep track of accounts for the trust. Accountants familiar with special needs trusts will understand the nuances of tax law and may give trustees advice about how to minimize taxes in the future. Trustees who are inexperienced in any other aspects of management or law related to the trust should locate qualified professionals. For example, a trustee who oversees a trust that holds valuable art may need an art expert to estimate its value. 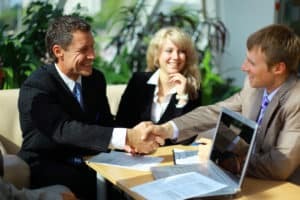 Changes to the trust documents or important decisions based on trust language should be evaluated by a trusts attorney. Who are the “right” professionals? Professionals who assist with a trust should be qualified, knowledgeable, and experienced in the specific field for which the trustee employs them. Trustees of special needs trusts or other trusts that have individuals with special needs as beneficiaries should inquire about professionals’ experience with special needs future planning and trust management. For example, make sure your accountant is familiar with SNT taxation. Depending on the amount and value of assets in the trust, cost of professionals’ services may be a serious concern. Many professionals require up-front retainer payments and charge by the hour for even small administrative tasks. Ask in detail about their fees and request notification before the initial retainer runs out. Last but not least, investigate professionals’ backgrounds and history. Check the websites of their professional licensing boards, such as the public accounting board for your state, for any censures or suspension. Do a quick Google search for their names and look around on their websites. Read printed materials that they give you. Make an informed decision about each professional that you employ for a special needs trust by doing your due diligence.